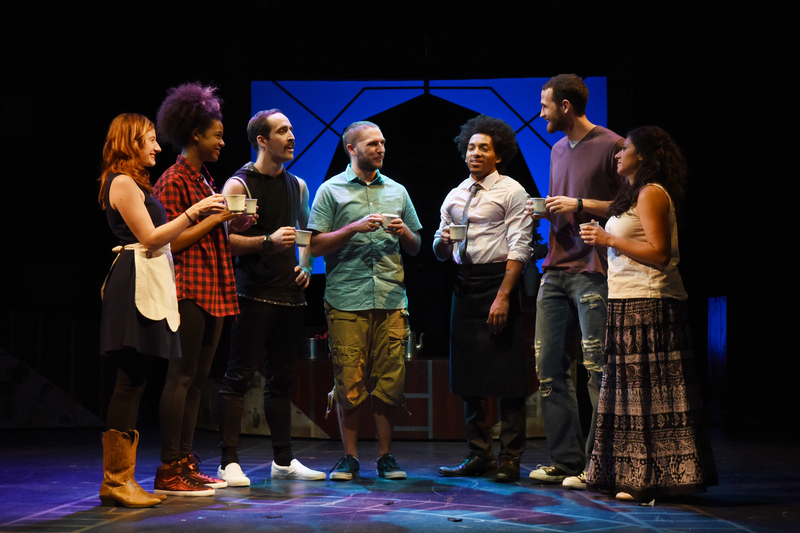 Out of Many took 2 years to create as the entire MFA Cohort of directors, designers, performers, and playwrights came together to create a show out of nothing. Using Tectonic Theatre's moment work and a variety of other devising techniques we built a show around a kernel of an idea: America. For me artifacts like this video became an important route to explore this kernel. It was important to me that the program not seek to explain the show or what it is about. Instead, I aimed for the program to awaken the audiences ability to recognize, appreciate, and contribute to the possibilities and multiplicity of meaning embedded in the show’s creation. “Americans... are forever searching for love in forms it never takes, in places it can never be.